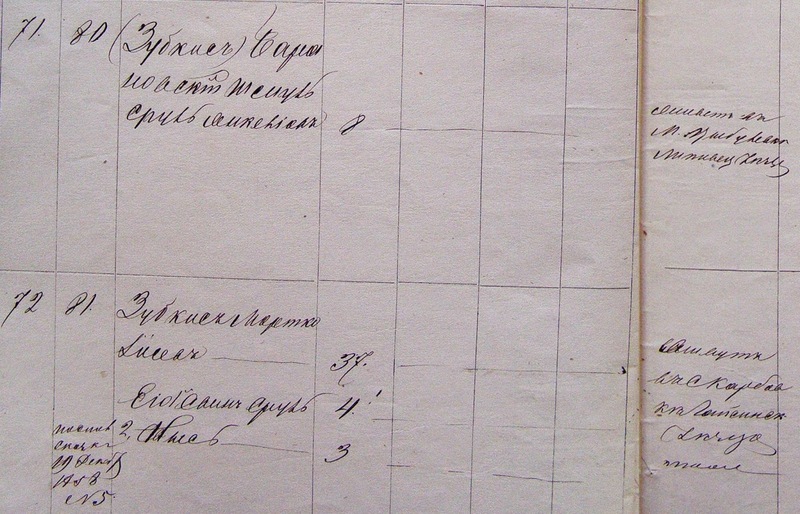 As mentioned earlier, there are several Zubkis families that were living in and around Kuna. I haven't (yet) figured out how they are related to mine. My great grandmother, Esther Rutner Joshowitz, was born on March 25, 1882 in Darva, Maramaros, Austria-Hungary (later Slovakia, now the village of Kolodne in Subcarpthian Ukraine, and always called Kolodne in Yiddish). Her parents, Shmuel Moshe and Rochel (nee Fuchs) Rutner had been religiously married before her birth but did not civilly marry until she was an adult--so she was only considered legitimized in the eyes of the government after she was already a married woman. Because of that, she was often referred to as Esther Fuchs (also Fux & Fuksz) in official documents. 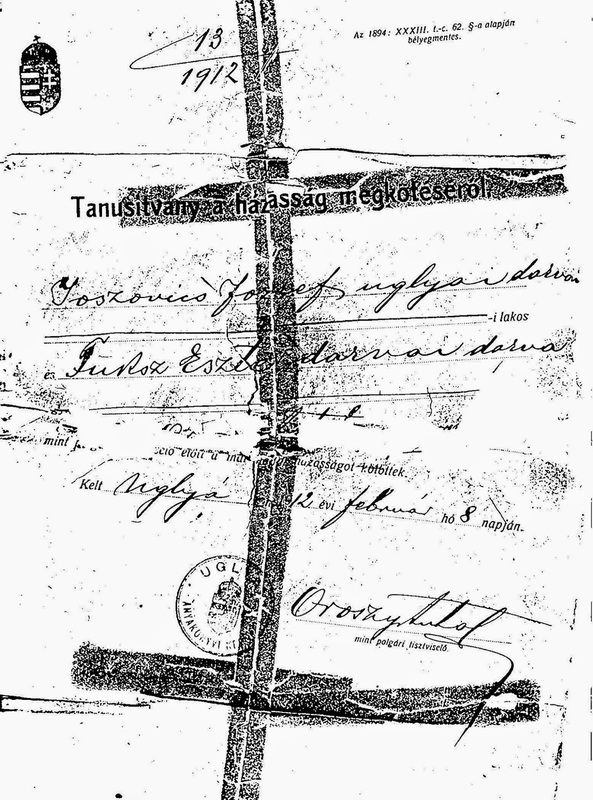 On February 8, 1912, Esther married Joszef (later Josef) Joszovics (later Joshowitz) in Darva, and they registered their marriage in nearby Uglya.